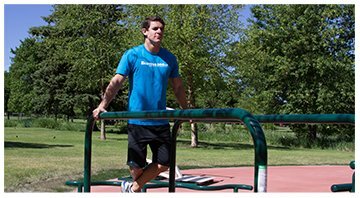 We love our hometown and wish to give our community the opportunity to lead a healthy and active lifestyle. Bodybuilding.com was founded in the Boise area in 1999. Today we employ hundreds of Boiseans who take pride in making this amazing locale an even better place to live and work. 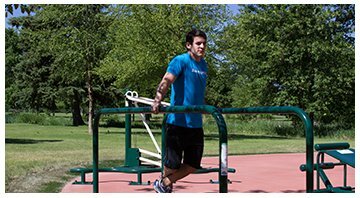 We love our hometown and wish to give our community the opportunity to lead a healthy and active lifestyle. Everyone should have access to the equipment, information, and motivation they need to become their best selves. 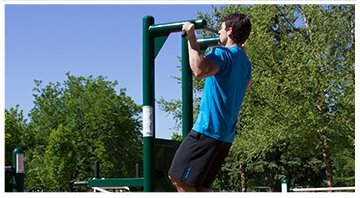 Hope you enjoy our park gyms! 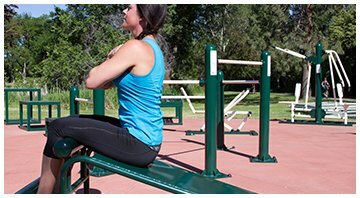 The Bodybuilding.com Park Gyms at Ann Morrison Park and Camel&apos;s Back Park are each made up of 15 pieces of durable new fitness equipment installed on a 1,400-square-foot pad. 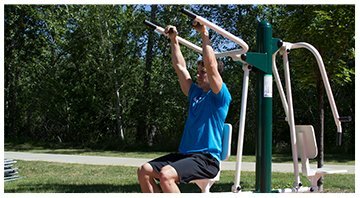 Use of the equipment, which is accessible year round, is free to the public. Are you a gym newbie? Don&apos;t worry. 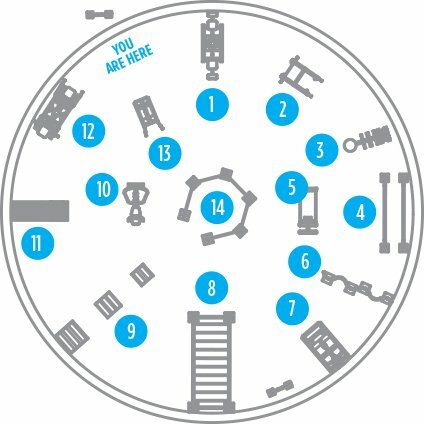 Each piece of equipment has posted instructions. 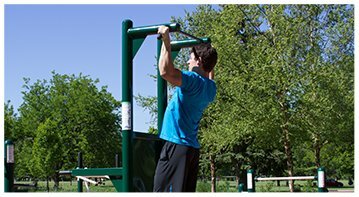 Ann Morisson Park: On the Boise Greenbelt in Ann Morrison Park, west of the sand volleyball courts. Camel&apos;s Back Park: Visible from 13th Street, north of the playground area. 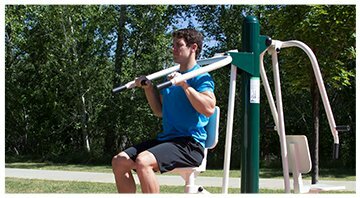 Please Note: The park gym equipment is designed for adults and children ages 14+. One of the keys to long-term fitness success is variety. 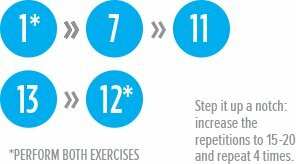 If you repeat the same workout routine over and over again, your body will adapt to it and stop changing for the better. Also, you are more likely to stick to your workout if you are not bored. 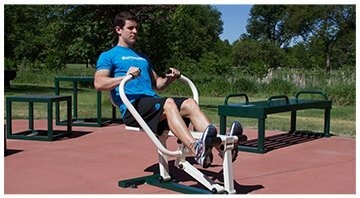 We tapped some of our TEAM Bodybuilding.com athletes and asked them to create their favorite workouts using the Park Gym equipment. 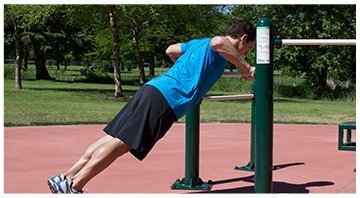 Each workout is scalable to your fitness level. 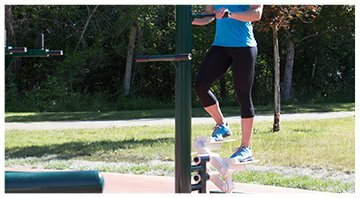 Check back regularly for new, fun workouts. 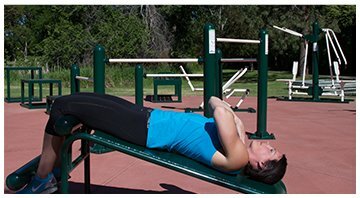 1-minute rest between each exercise. As always, consult a physician before beginning a new exercise regimen. 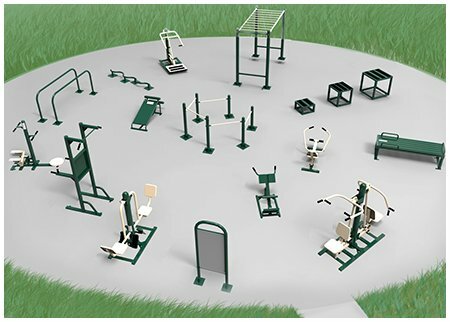 The Park Gyms include equipment you&apos;d find in a standard indoor gym, as well as some new ways to challenge your body. 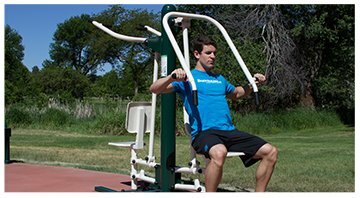 Here&apos;s a look at the equipment, including how to use each piece and which muscles you will be engaging. 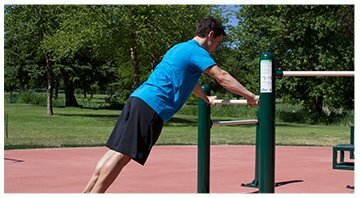 Detailed, step-by-step instructions for each piece of equipment are posted at the Park Gyms. 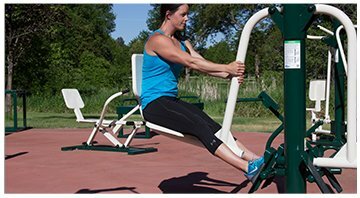 The Leg Press uses your own body weight to strengthen your thighs, calves, and gluteal muscles. 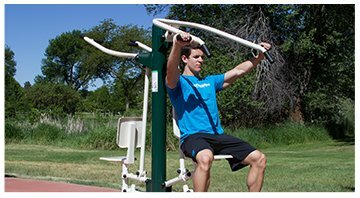 The Pull-Up and Dip Station develops upper body strength in the shoulders, chest, and triceps. 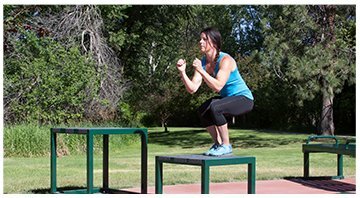 Perform knee lifts for an abdominal workout. 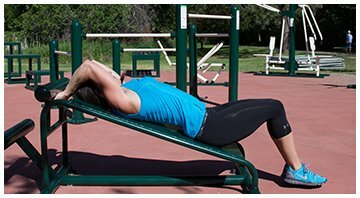 The Step and Twist offers two unique exercises. 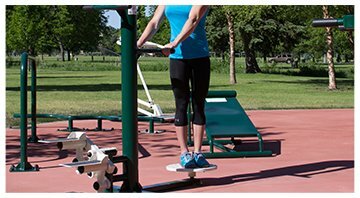 The stepper strengthens your legs and improves your cardiovascular fitness. 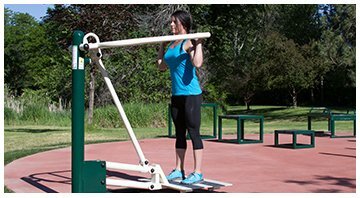 The standing rotator stretches your core and hips. 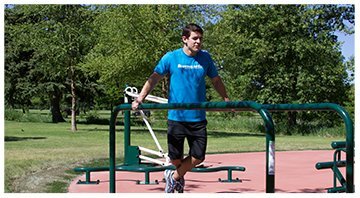 The Parallel Bars offer two unique exercises.The Hand Walk strengthens your shoulders and triceps, as well as your chest and core. 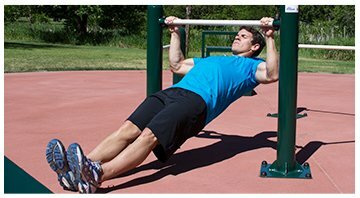 Dips develop strength in your triceps, as well as in your chest and shoulders. 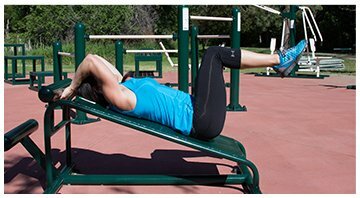 The Sit-Up Board allows you to perform two different exercises. 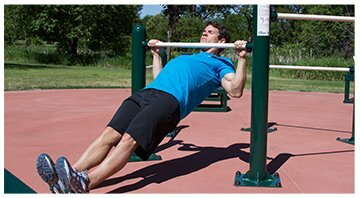 Each is designed to strengthen your abdominal muscles. 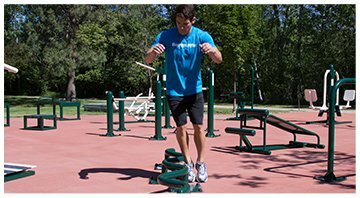 The S-Shaped Jump Bar can be used to develop leg strength, improve agility, and provide an aerobic workout. 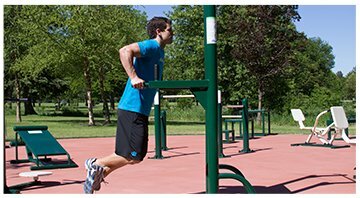 The bar is shaped to add difficulty and fun to your jumps. 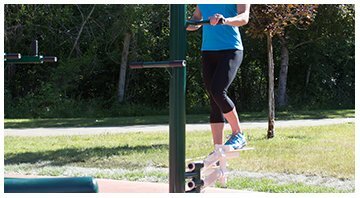 It can also be used as a balance beam to develop stability or as a push-up bar. 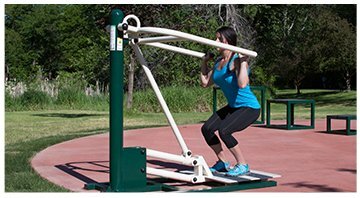 With this piece you can stand on the platform and as you raise the handlebar, the resistance will increase while the platform rises. Perform squats, shoulder presses, bicep curls, or squat then press. 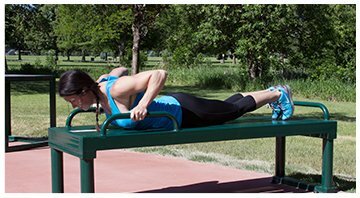 The Horizontal Ladder is used to develop overall upper body strength and flexibility. 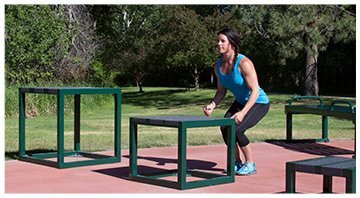 The Plyoboxes provide basic yet effective training equipment for a variety of intense exercises, aerobics, and stretches. 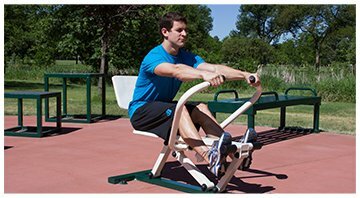 The Rowing Machine provides a fun way to improve your cardiovascular health and tone your upper body. 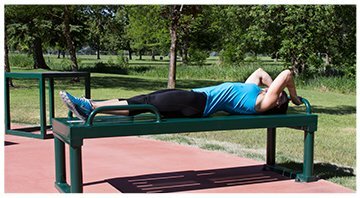 The Sit-Up Bench allows you to perform several different strength exercises and serves as a sitting bench during rest. 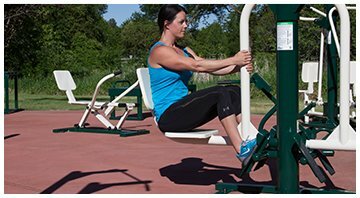 The Seated Chest Press develops strength in the chest, front of the shoulders, and triceps. 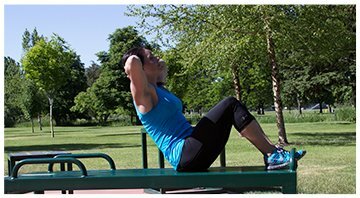 The Seated Lat Pull strengthens your back, shoulders, and triceps. 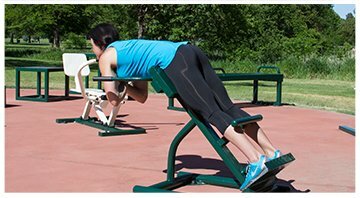 This exercise promotes strength in the lower back, glutes, and hamstrings. It develops flexibility and helps with posture and aligment. 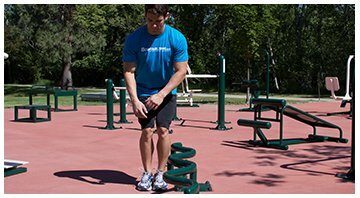 The Multi-Bars will help you perform a variety of moderate strength and flexibility exercises.